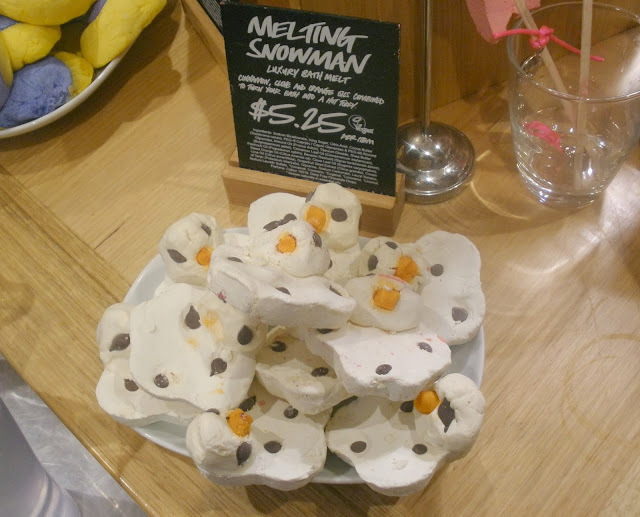 I was lucky enough to be invited to the Lush blogger event in Melbourne last night. I had such a lovely night and was so impressed by how professional and friendly everyone was. The theme was a Cruelty Free Christmas. The evening started off with a talk by one of the lovely directors, Peta. 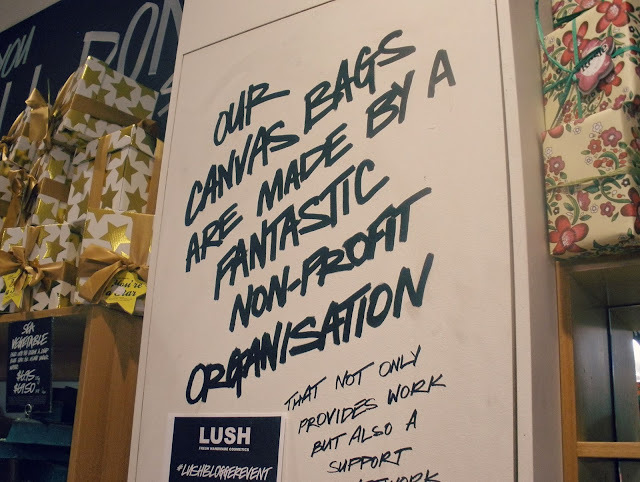 We were given lots of information on Lush and what they stand for as a company, as well as some updates on upcoming campaigns and products. 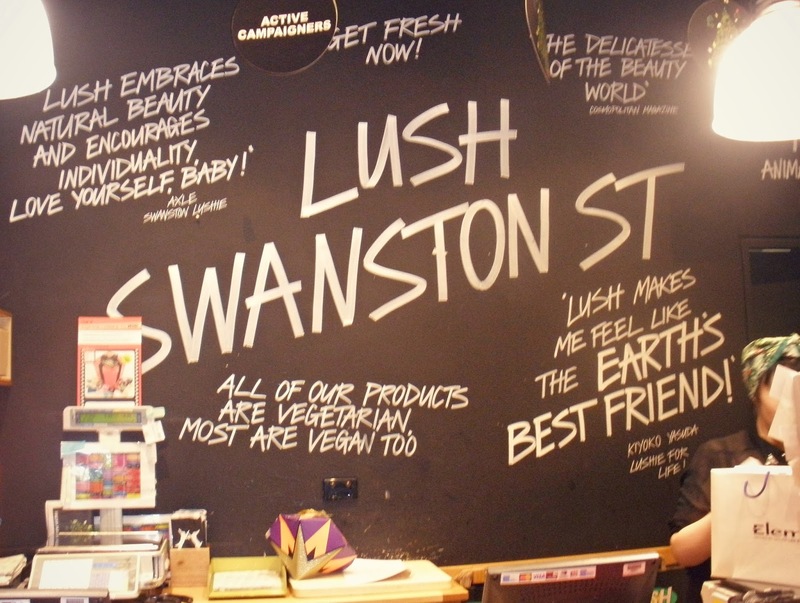 I love that Lush are completely free of any animal cruelty and most of their products are vegan - all are vegetarian. 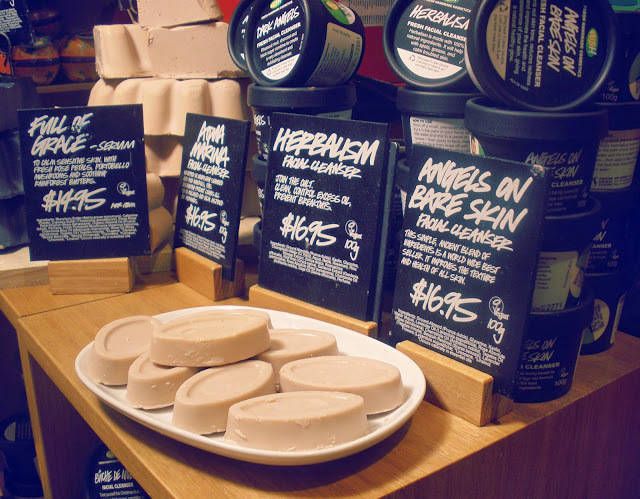 Lush products are also packaging free where possible and are all handmade with beautiful, organic ingredients. 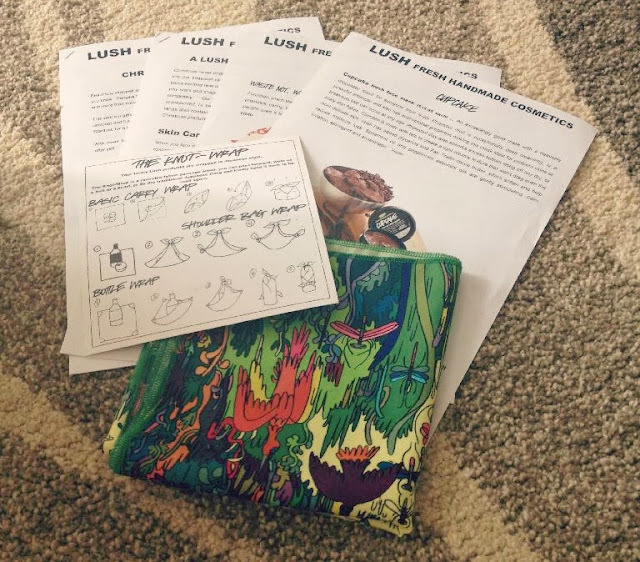 After Peta's talk, and a few words from some of the other lovely Lush staff, we were split into two groups and were able to take part in two different workshops. 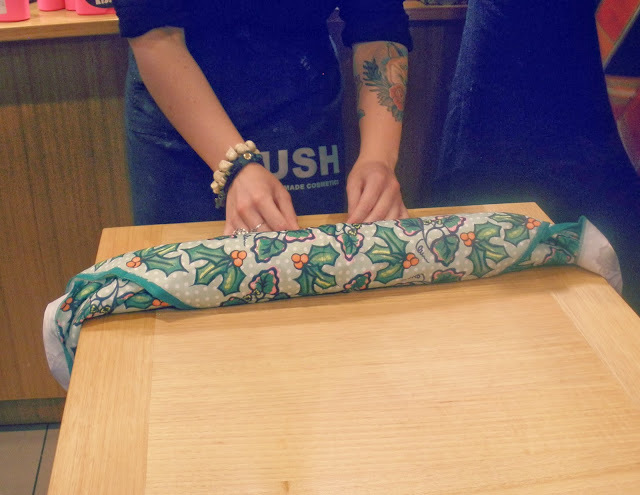 The first was learning the Japanese Furoshiki wrapping technique, using beautiful scarves which we were then able to keep. 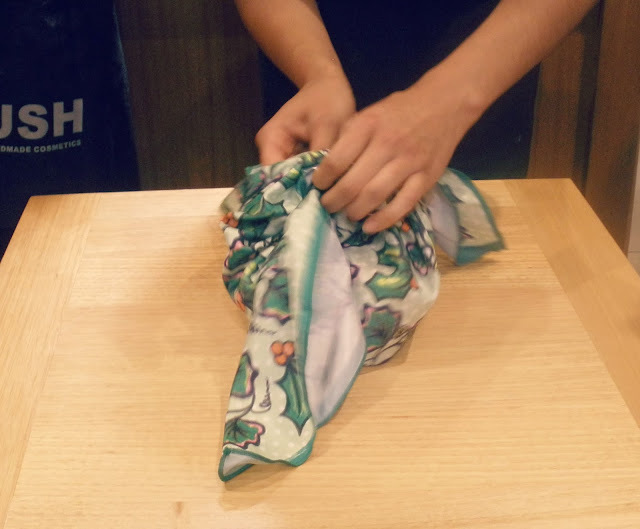 The second workshop, was a demonstration on how the beautiful Lush Cupcake face mask is made. We were then able to take a tub of the face mask home with us also. 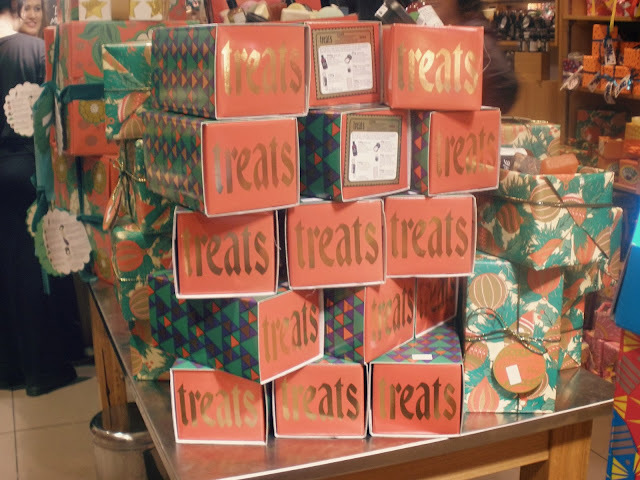 We were given the opportunity to walk around the store and try out the different products, as well as receive a lovely hand treatment from one of the staff. I went home smelling amazing! 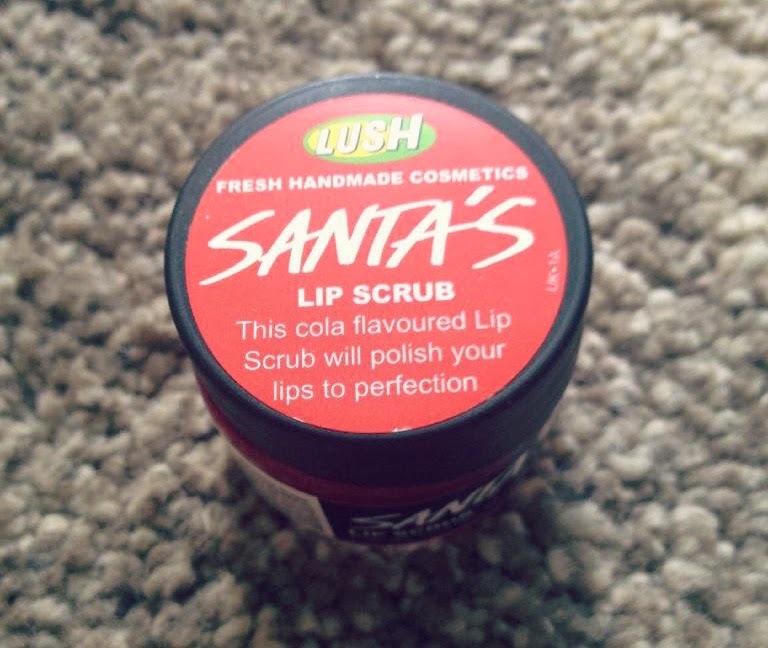 Santa's Lip Scrub: I can't even describe how amazing this smells! 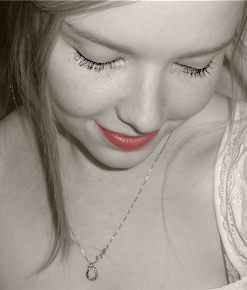 It reminds me of cherry cola, it's lovely! Snow Fairy Sparkle Massage Bar: I've left this one in the packet as it got a little bit squashed on the way home. I was able to try this out during the hand treatment I got at the event, and it's lovely. It has a very sweet smell - a mix between bubble gum and cotton candy. It leaves a lovely, soft shimmer on the skin. 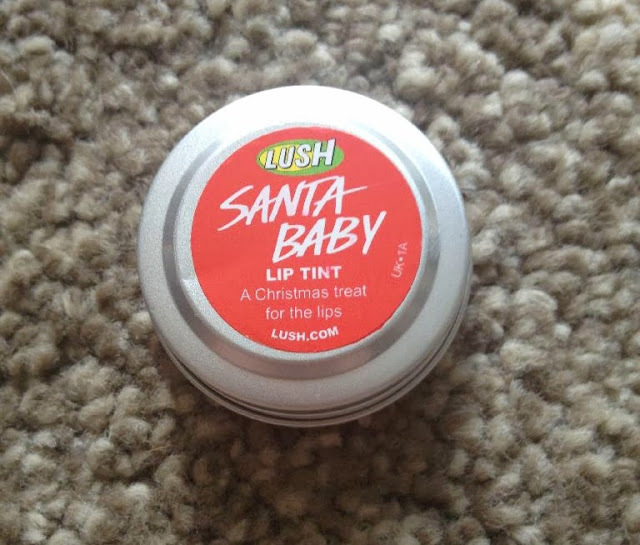 Santa Baby Lip Tint: I haven't tried this yet, but the colour looks beautiful and can be used as a cheek tint also. 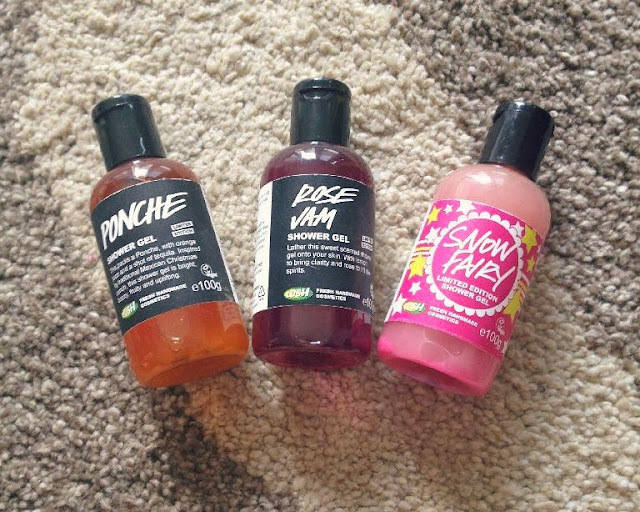 Three different Shower Gels - Ponche, Rose Jam and Snow Fairy: These all smell completely different to one another. I can't wait to give them a try! 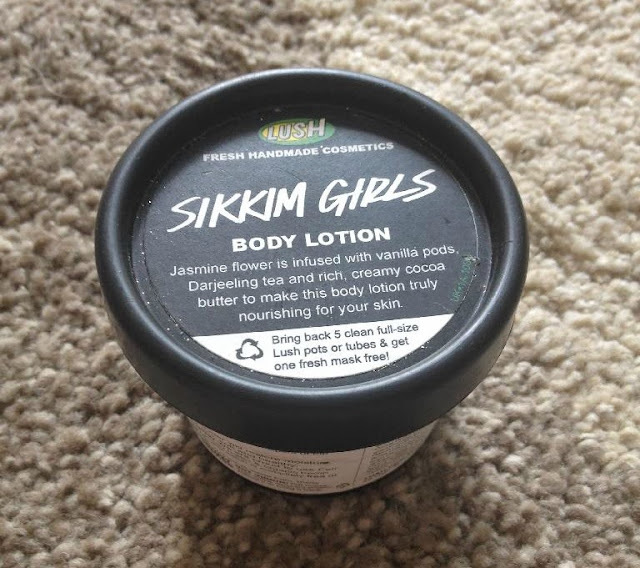 Sikkim Girls Body Lotion: This has a really subtle scent and feels lovely on the skin. A mixture of Jasmine flower, vanilla, Darjeeling tea and cocoa butter. 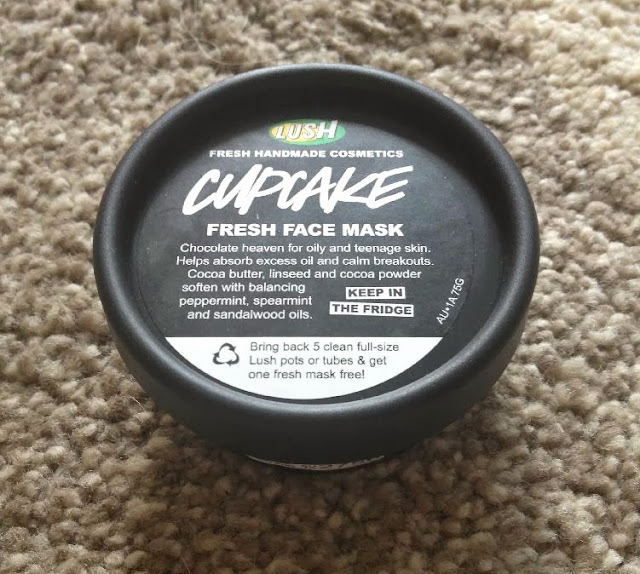 Cupcake Fresh Face Mask: This is the one made during the workshop on the night. It smells like chocolate cake mix! Can't wait to try this one out! 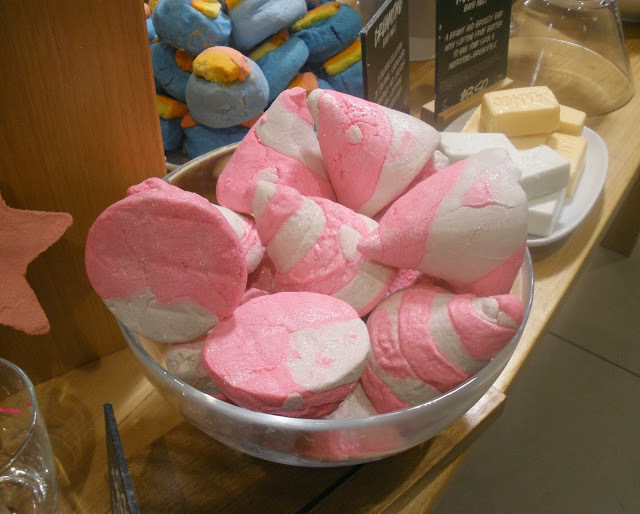 Three bath products: Golden Wonder Bath Ballistic, Candy Mountain Bubble Bar and Cinders Bath Ballistic: These all smell SO good! 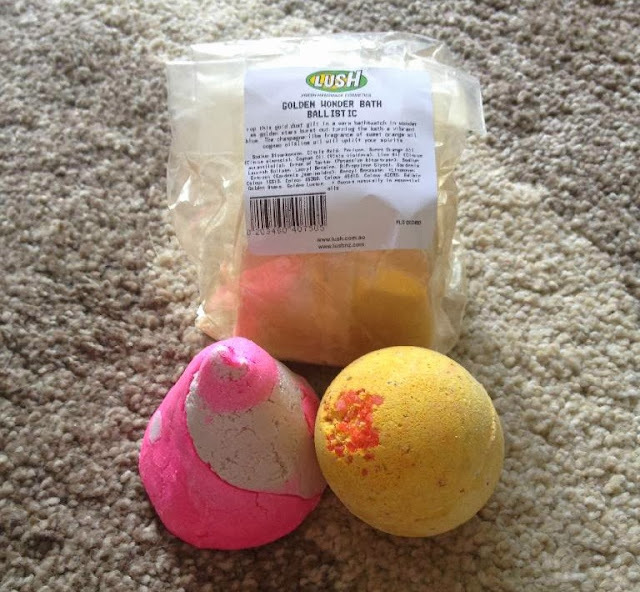 I haven't tried these particular ones before, but I'm a big fan of the Lush bath products, so I'm looking forward to enjoying these. Lastly is the lovely scarf I was able to keep from the Furoshiki workshop, along with some information sheets and booklets. I'm so excited to try out all of these beautiful products! 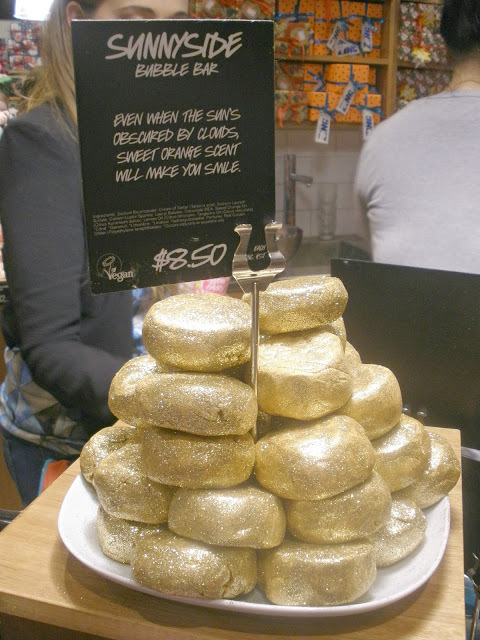 I'm such a big fan of Lush and I'm so grateful to have been able to attend this event. I will review all of these products gradually as I use them, so stay tuned to find out more about them! Just seeing the photos and reading the item product names is making me crave sweets! 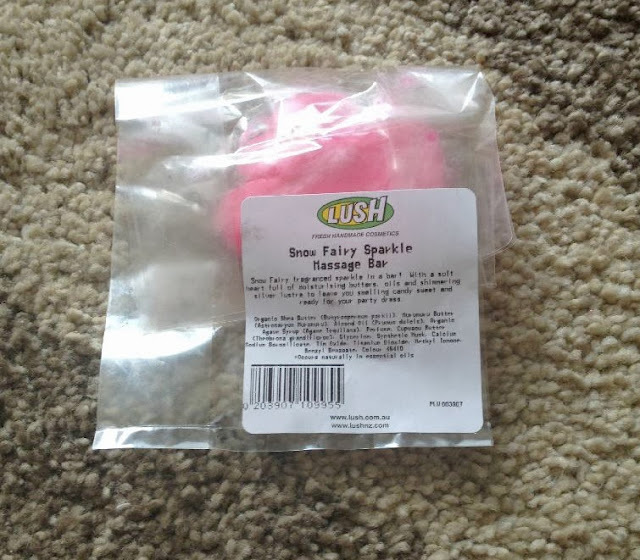 Cherry cola flavoured lip gloss, chocolate cupcake face mask, the ‘Snow Fairy Sparkle Massage Bar’ that looks like a bag of fairy floss...yummo.